I had a birthday recently. Getting older doesn’t generally bother me but, this time, my birthday felt different. This time, my birthday came with the realization that, realistically, I’m past the mid-point of my life. It made me feel like I was running out of time. I’m running out of time to spend with my family. I want to spend as much time as I can with my family. I want to look back on my life and not think that I worked too much, or was on the computer too much, or was on my phone too much. I want to look back on my life and know that I was a present father and husband. I want to know that I went to all the baseball games and performances and that my wife and I had date nights. I want to know that I was there when my family needed me. There are so many obligations. There are so many distractions. There are so many demands on my time. My birthday made me wonder if I was making the right choices with how I spend my time. I’m running out of time to prepare my son for the future. Epilepsy through such a curveball at my son’s development, both intellectually and socially. It set him back a few years, and the gap is widening between him and his peers. I worry that there will not be enough time to prepare my son for the world. I worry about what will happen to him after I am gone. But sometimes, I worry too much about preparing him for the future that I forget to let him be a kid. My birthday made me wonder if there was a way to help him develop and grow while still giving him the childhood he needs and deserves. I’m running out of time to prepare the future for my son. I also feel such a sense of responsibility to prepare the future for my son. We don’t know what his life will look like after we’re gone. 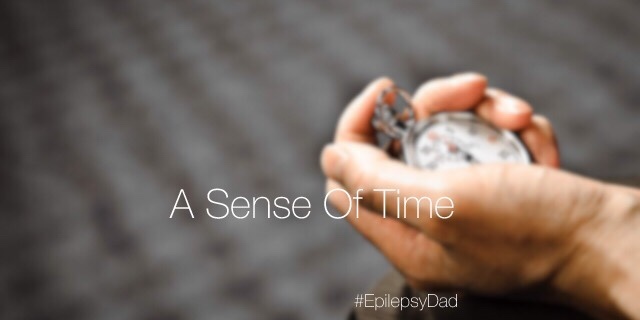 We don’t know if the seizures will ever be under control. We don’t know if he’ll be able to support himself, or hold a job, or have a family. I used to think only about having enough money for a comfortable retirement, but now I think about how I can best secure a comfortable future for my son. There is less time to do that now, and focusing on the future takes away from the present and spending time with my family. My birthday made me wonder if I was making the right choices now to protect my son in the future. Although it originally felt like a sense of urgency, what my birthday actually gave me was a sense of time and the importance of it. It made me question my relationship with the future and the present and ask myself if I am spending my time in each way that I should. It made me realize that I often live at the extremes, ignoring either the present or the future, instead of finding the healthy balance between the two. I’m not sure what I’ll do with the gift, but I’m hopeful that I will make the most of it. I suppose we’ll have to see what happens. I was recently in Colorado and had a chance to catch up with friends that I have known for more than ten years. We knew each other before I was married and before any of us had children. They’re also one of the few people who knew us before epilepsy. We reminisced about the days when our lives were simpler and had much less responsibility. Adulting is hard. The weight of trying to focus on a career but still spend time with the kids, friends, and each other gets to be too much. We’re all exhausted and come home and want to do nothing but go to bed early. Ten years ago, we thought it would all be possible. Ten years ago, we thought nothing would change. Now, we’re tired and depressed because we couldn’t maintain our lives from the past. So it made sense that we would be nostalgic for the time before we felt like we were failing. But we’re not failing. As much as we thought we could, we weren’t supposed to keep things the same. We couldn’t just sprinkle on new stuff like kids or a more senior job. Our lives evolve and become something else. Today is not yesterday. It’s something new. Instead of trying to fit my new life into the old one, I’ve tried to figure out what my life should look like now. Instead of focusing on what was important to me then, I’m trying to focus on what is important to me now and build my life around that. But it’s hard to let go of the past, especially when there are days when the present seems impossible. Every seizure, every outburst, every time my son can’t remember what just happened…I just want to hop into a time machine and go back to before any of this happened. I think that is what my brain is doing every time it compares today to yesterday. It’s trying to bring me back to the past. But it’s wasting energy. It’s swimming against the current instead of letting the current carry me forward. Worse, the past that it is trying to bring me back to isn’t real…it’s a distorted version made better by years of distance. It’s not always easy to focus on the present. The present is hard. The present is real. But instead of using my energy to try to make my life what it was, I should be using it to make my life the best that it can be now. Because the present is where my life is. The present is where my family is. The present is where I am needed. The present is where I am supposed to be. When I was younger, my vision of my future included many things. It included a cabin in Maine where I would write and take my sea kayak out to harvest lobsters from my traps. It included a job where I made a lot of money doing something that I loved. It included traveling around the world, soaking up the sights and flavors of every culture on the planet. And it included a family that would share in these experiences and would enrich my life with their own experiences and dreams. That vision for my future didn’t include a lot of things. It didn’t include the pressure and demands of a job later in my career. It didn’t include the realities that come with having parents who are aging. And it didn’t include the curveball we were thrown when our son was diagnosed with epilepsy. The combination of these factors created an environment that tests us every day. The relentless seizures. The widening gap between our son and his peers. The insecurity of our lives. The distance that the exhaustion and pressure create between us. There was a movie called “The Perfect Storm” that detailed the account of the Andrea Gail caught at sea during the 1991 “Perfect Storm”, where multiple storms merged to create a super-storm. The crew ignored the warnings about the storm and made choices that took them further from safety. Eventually, underestimating the power of the storm, they turn back into it and the ship is lost. Lately, I’ve been feeling like we’re caught in our own storm. I’ve been ignoring the signs and now we’re trapped in the middle of it and the waves are getting bigger. Occasionally, one of us will get thrown overboard but the others pull them back to safety. But there is only so long we can hold out. Eventually, we will get tired. Eventually, the ship will be lost. I underestimated the strength of this storm. I thought we were lucky. I thought the seas would calm. I thought we had been through enough. But the storm is not done with us yet. The warnings are in front of us. It’s time to steer our ship to safety before it’s too late. NEXT UP: Be sure to check out the next post by Elaine at livingwellwithepilepsy.com for more on epilepsy awareness. 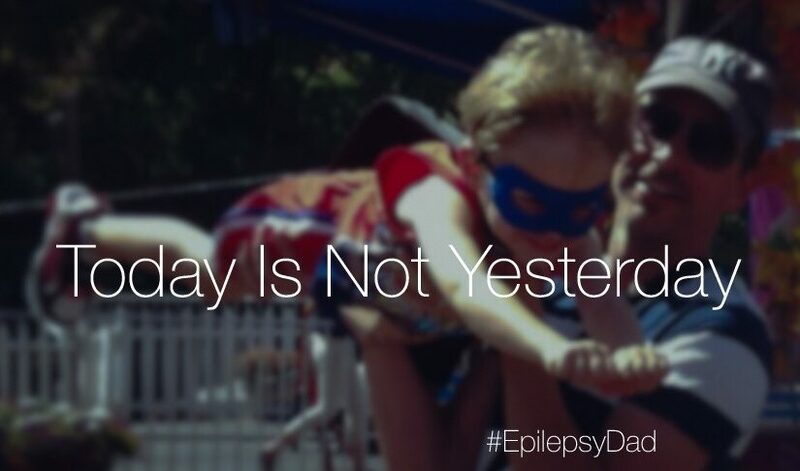 You can check out any of the Epilepsy Blog Relay posts you may have missed.